Could we benefit from a free entry splash park? ECONOMIC BOOST… The newly opened Tocumwal Splash Park has proven to be a huge success, and if something similar was to be introduced to Shepparton it is anticipated it would draw in visitors from far and wide and would also benefit locals. Photo: Supplied. 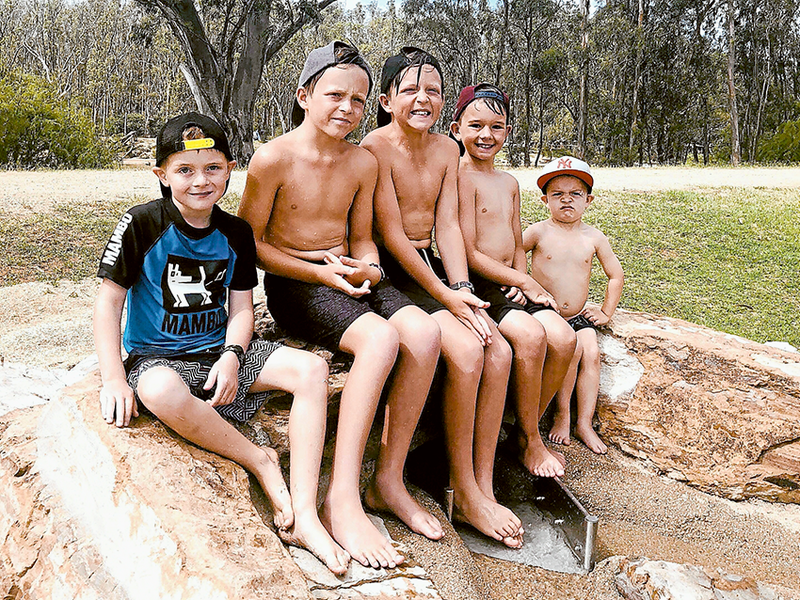 FOR ALL AGES… Local residents, Hudson Allen, 6, Noah O’Sullivan, 9, Cooper O’Sullivan, 9, and Melbourne residents, Ethan Garner, 8 and Oliver Garner, 3, posing for a photo on the outskirts of the new Tocumwal Splash Park. Photo: Supplied. SPLASHING FUN… Local resident, Luca Allen, 3, playing with one of the water features at the new Tocumwal Splash Park. Photo: Supplied. A FREE entry splash park could be just the thing that Shepparton needs and has already proven to be a success with Tocumwal’s newly opened splash park facility, which is seeing over 500 people visit daily. 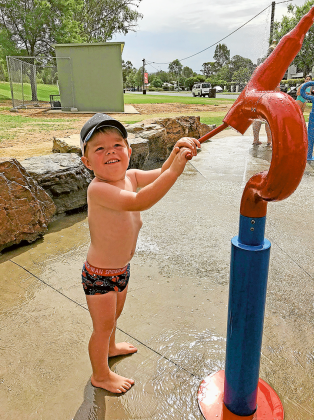 Tocumwal’s $900,000 splash park is the first part of a major redevelopment of the Tocumwal Foreshore valued at $3.2M dollars, which once complete is anticipated to attract many visitors and tourists to the area. 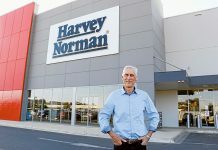 Berrigan Shire Mayor, Cr Matt Hannan said, “This Splash Park is part of a fantastic redevelopment of the Tocumwal Foreshore that we can all be proud of. 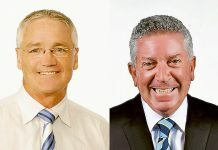 Greater Shepparton City Council Manager Active Living, David Booth said, “Splash parks in open spaces can be successful however like many new features need to be considered over the long term. 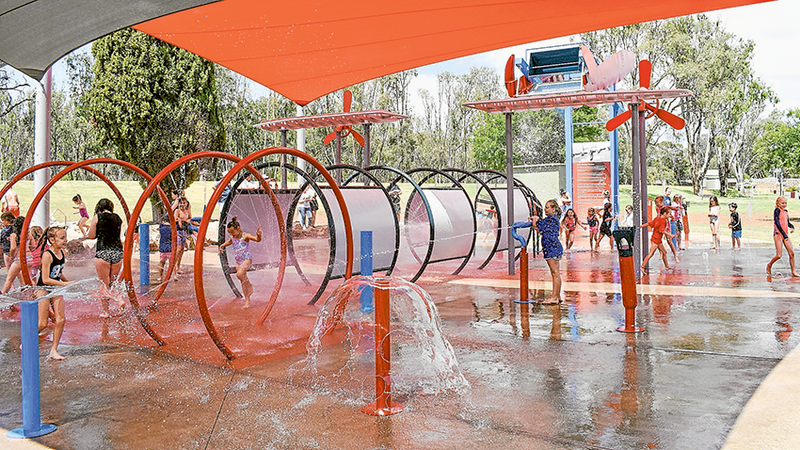 The initial investment and the ongoing operational costs are considerable and so most successful splash parks form part of a broader offering of attractions. “The current location of the splash park within Aquamoves makes it difficult to make it available free of charge. In addition, the Aquamoves splash park is supervised by lifeguards and therefore provides an added level of safety for families using it. Local resident, Alice Allen took her family to the Tocumwal Splash park recently saying that it was fantastic and lots of fun for kids of all ages. “We spent some time camping in Tocumwal over the New Year with friends. 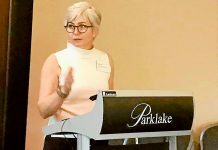 Our kids very much enjoyed the splash park on the Tocumwal Foreshore, especially the water guns and meeting other children who were also visiting the area,” Alice said.